Essentially, we’re going to take a look at how to create some text using Plexus, animate some cool transitions, and finish things of with some tweaks and color correction. It should be very interesting, especially if you’re new to Plexus. The great part is, Plexus makes it very easy and you can do almost everything in a single text layer. 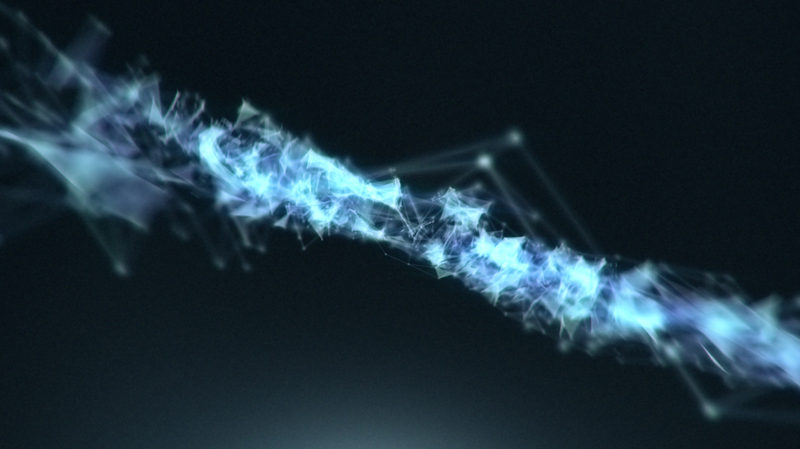 It’s just a matter of keyframes on a few parameters and you can achieve some interesting results. I think one drawback it has currently in version 2 is that there isn’t any native motion blur support. (that I know of) I know a lot of people have been requesting it and it seems like it didn’t make it into V2. In my project, I used ReelSmart Motion Blur to create some organic motion blur, but you can get some funny vector results. Depth of field seemed to be a mixed bag at times, but that’s understandable with all the complex stuff going on. Let me say this, it’s very easy to get carried away in Plexus, you’re tempted to just slap on more effectors and geometry! Plexus is a very robust and powerful plugin that creates interesting looks. The ‘modular’ stack format that Plexus uses may seem messy at first, but once you get used to it, it becomes very handy to move the order of the stack around. I’ve also been getting lots of request to cover some Plexus stuff through my tutorials, so this may be one I’ll explain. If you’d be interested in a tutorial, let me know in the comments below! If you want to get started, try out the Plexus demo! yeah i want tutorial ..thanks for ur awesome wrk.. Awesome to hear Tim, very glad you find my content enjoyable! Thanks for your support! Woow this is Nice! Tutorial please :). Love your content!